Okay, it’s been a few weeks now – is it finally safe for me to introduce Wargroove as its own thing, and can I trust that you’ll understand it’s that game that looks like Advance Wars? Alright, awesome, because players of the turn-based strategy game have started to use the campaign editor to build some impressive results. Those include a project to fully recreate the Advance Wars campaign inside of Wargroove. 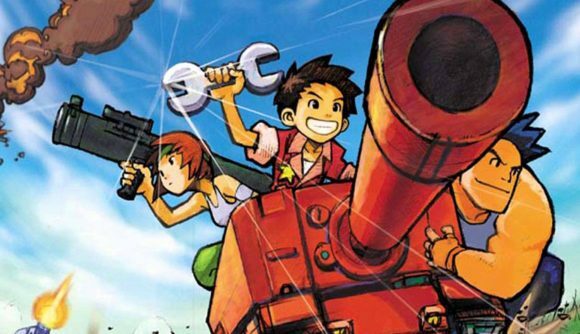 The Wargroove editor robust enough to let you make just about anything you want, and HalcyonsGlory on Reddit has embarked on a project to bring all 34 maps from the original Advance Wars back to life. The landscapes are complete, but the real trick is going to be distributing units and balancing around Wargroove’s distinct rules. Yet even with that big task in mind, the first four maps are already available in a playable state, and they look pretty much spot-on – accounting for the change from modern anime military to anime fantasy, of course. You’ll also have to wrap your mind around changes like not being able to stand directly on top of structures. Advance Wars isn’t the only game getting the Wargroove treatment, as Kotaku notes. Players have also started to build maps from Nintendo’s other big strategy series, Fire Emblem, in the campaign editor. Since Fire Emblem has all those RPG elements, it not quite so easy a transition to the new engine. But honestly, more maps for turn-based strategy is absolutely a good thing. Wargroove DLC is likely coming since the game has been such a success, so it looks like you can expect some official new content in addition to all this player-made stuff.